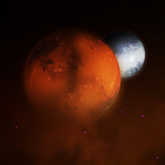 Aggressive Mars takes on a militant tone in dominating Capricorn, which it occupies from November 16 until December 25. Traditional Astrology calls the warrior planet "exalted" in this disciplined sign, where it can operate like a master of Roman legions. Its strength is amplified this week by a conjunction with potent Pluto on November 27, which can enrich us with persistence, focus and concentrated effort. 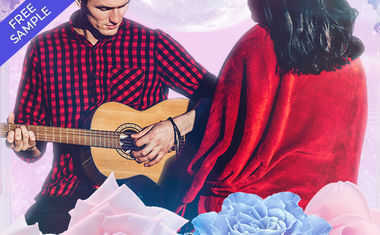 Overpowering others or becoming paralyzed with fear are undesirable expressions of this transit, however, which you might help calm with a Peace and Harmony Tarot reading. My interest, though, is to address the militarism that Mars represents, especially in light of the long-term transit of Pluto in Capricorn that continues through March 23, 2023. Pluto, the Lord of the Underworld, is associated with fear, which is a driving force of violence and war. Fear of attack from others is a powerful psychological influence that can turn a pacifist Pisces into heavily armed protector of the home front. It is human nature to defend ourselves and those we love, yet we can and should discuss how much energy we put into a militaristic posture as compared to addressing our own ills. It's easier to demonize others than to face our inner demons. Individuals and nations that do not examine themselves can build walls and weapons and still never feel secure. Pluto in Capricorn could be a time when we thicken our resistance to others and deaden ourselves in the process, yet it can also be a period when we find the courage and maturity to question the power of institutions and ideas built on fear. 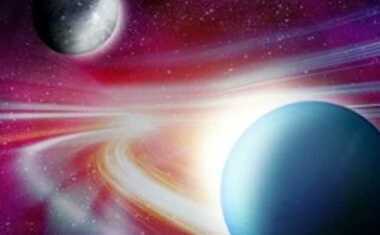 Uranus, the planet of freedom, squares Pluto seven times between 2012 and 2015. This individualistic and innovative planet is in Mars-ruled Aries, where it can either turn up the heat in military matters and personal aggression or awaken a new understanding of ourselves. Aries is the sign of the warrior, where high-tech Uranus provides unmanned drones and missiles to attack enemies at a distance. This video game style warfare separates fighters from the consequences of their actions, seemingly saving lives in the short run but costing even more in the long run. I recognize that geo-political influences are complicated and that one group laying down arms will not necessarily convince its adversaries to do the same. I am simply pointing out that the application of collective resources for any enterprise, whether warlike or peaceful, should be open to ongoing discussion and adjustments. And even more important is a continuing examination of ourselves as individuals about the ways that we address our fears. We may never achieve a sustainable peace on Earth. This is a planet of light and shadow where we pass through times of joy and wisdom and times of pain and foolishness. Yet we can choose what we aspire to and how we behave in pursuit of those goals. If love is preferable to hate and peace preferable to war, the fight to expand our minds, to reject simplistic answers and to replace blame with understanding is required. It isn't an easy road but it is the true path of the spiritual warrior.